Getting ready for back to school or already there? I have compiled Great Science Sites that can help you add science to your school day with ease! These sites are my go to's for what they have to offer as well as their ability to add to the structure of my lessons, as well as enhance what I am teaching. 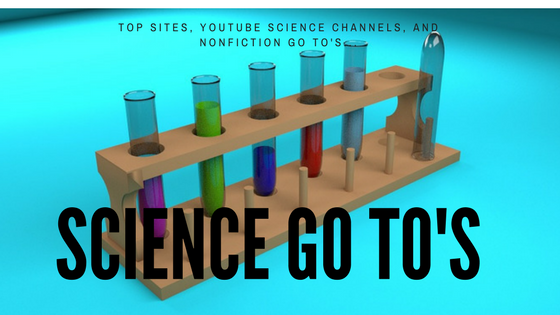 Another go to for great science themed videos is SciShow Kids found on YouTube. This site has such a different variety of science topics, and can be shown to younger learners, too. There is a great eclipse video that really explains it well! Check out their intro below! Let's take a look at non-fiction books. As a science teacher, it is imperative that I use interactive read-alouds to teach a science concept. Remembering that what I am reading is not necessary at their reading level. Whether you paraphrase or read a quick non-fiction book that helps you teach a science concept my three go-to's are perfect for projecting the books on my smartboard! The first one is free to educators! It is Epic Books! It has an amazing selection of non-fiction science books for all ages! I use them with all of my K-5 classes! As for the other two that I go to for non-fiction resources are Myon which our district has purchased a subscription to. It provides other options that Epic Books doesn't have. My third go to is Science A-Z. It is also a paid subscription, but gives me the ability to print books for my kids so they can take them home. They also are project-able and can be used on their iPads. Looking for a free year of science lessons? Go to Mystery Science. After that you pay for it, but it is filled with lessons, videos, and experiments as well as ideas! Here are great simulations for science found at PhET Interactive Simulations! Love PhEt for balance and motion, concentration in our Mixtures and Solutions unit, and Static Electricity to name a few that I have used! Finally, if you want to learn a little bit more about STEM and how to implement it into your classroom, there are some great professional development videos and guidance from STEM Teaching Tools. 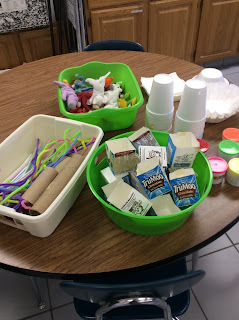 Followed by an engaging activity or experiment...even a STEM lesson...followed by a video to help you with the facts and you are on your way to making science child's play! And even more fun for you!